So, Friday again – where did the week go? I had to take the day off work today, my back is not behaving itself and I’m going pretty slow at the moment. Still, I managed to feed the hungry beasts this morning, check that everything survived the rain and enjoy a little bit of sunshine. 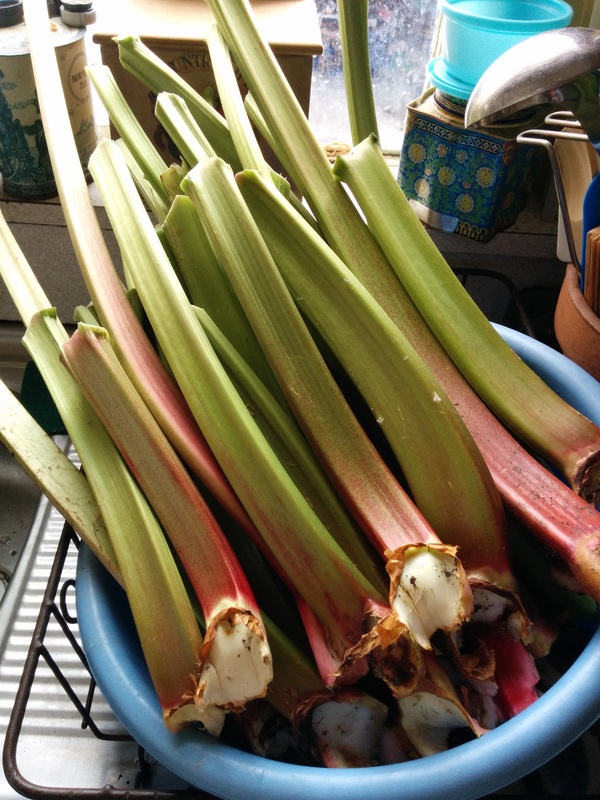 In the midst of my “go slow”, I had some gentle exercise, pulled a few weeds and picked some rhubarb. I have six plants of “Victoria” – the green variety – that get fed heavily a couple of times a year and give back a load of wonderful, tart stalks from the end of winter until the end of autumn. Rhubarb (Rheum rhabarbarum) is actually a vegetable rather than a fruit but it’s generally used for sweet dishes and drinks. Just make sure to remove the leaves before preparing and never let your chickens have any part of the plant – the oxalic acid make it lethal for poultry or rabbits. 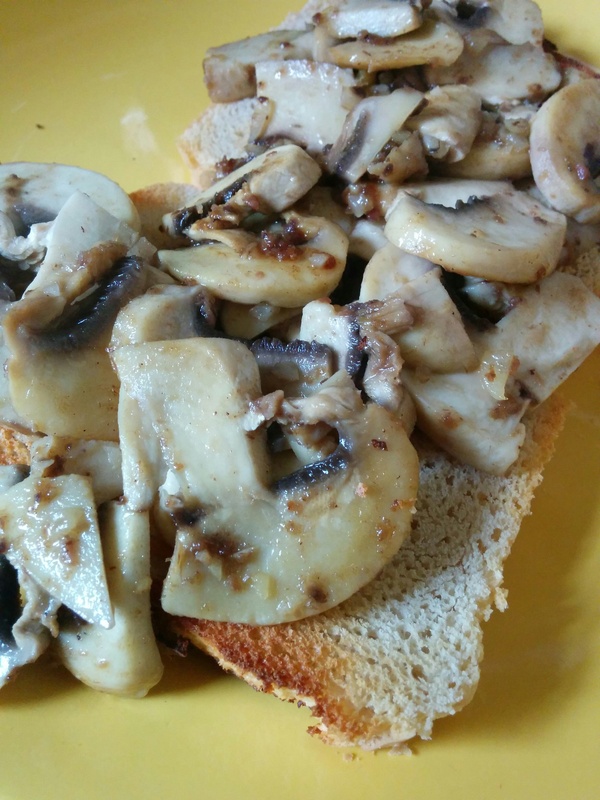 I found fresh mushrooms last night from the compost bags so had a filling breakfast of mushrooms on sourdough toast. I’m heading to my local plant nursery for some more mushroom compost next week! Do you have any favourite recipes or bright ideas for using rhubarb? Please leave a comment below. 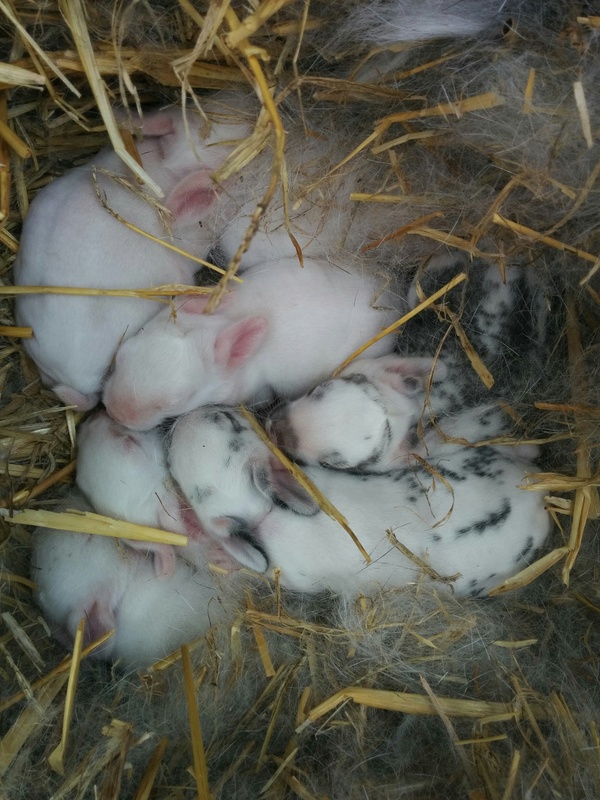 Hi Megan, yeah I breed for meat though my two does and buck are absolute pets 🙂 My neighbour has a dwarf lop we rescued and he’s a feisty little character – give me my gentle giants anyday!